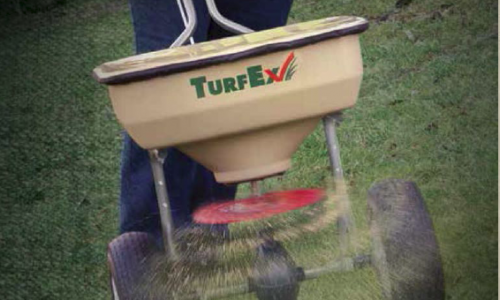 TurfEx brings a new school of thought to the turf care industry. Instead of following other manufacturers, we’ve started a new path with our full line of equipment. But we’re not just trying to be different…we’re being smart. The fully featured RS7200E is the height of efficiency. With its new electric spray pump, the unit allows you to pre-set the pressure settings, and it gives you greater application rates. The electric pump also powers a spot-spraying wand for unmatched productivity. 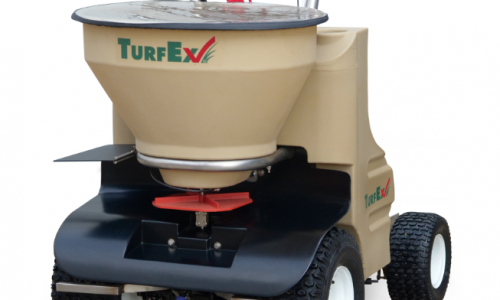 Commercial Series spreaders are a cost effective solution for professional application of seed and granular materials. They offer corrosion-resistant construction and precise rate adjustment…everything needed to get the job done right. Liquid applications are made easy with the Commercial Series handheld and backpack sprayers. That’s because they offer lightweight, ergonomic designs for spraying fertilizers, herbicides, insecticides and pesticides. Plus, they feature durable polymer construction with Viton® seals and O-rings for long pump life, even when dealing with corrosive chemicals. Why TurfEx? 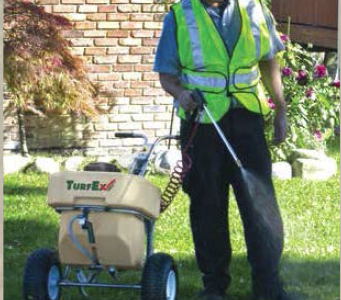 Just as green industry professionals are committed to providing quality service to their customers, TrynEx International is committed to developing unique solutions through the TurfEx product line. We uphold our commitment through innovation, integrity and leadership. And we’re proud to offer some of the most productive equipment on the market.